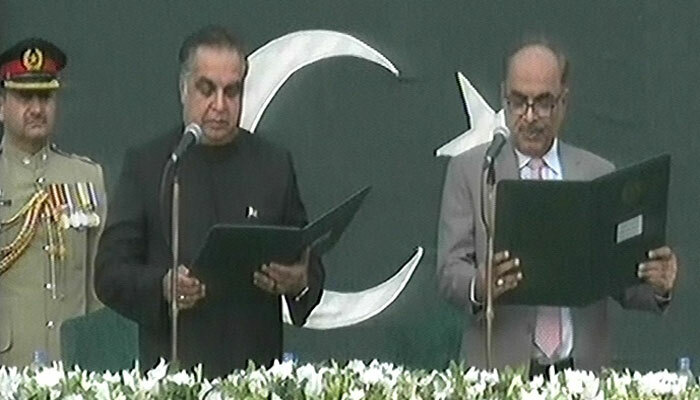 Karachi: Pakistan Tehreek-e-Insaf (PTI) leader Imran Ismail was sworn in as 33rd Governor of Sindh here on Monday. Chief Justice Sindh High Court Justice Ahmed Ali Shaikh administered the oath. Chief Minister Murad Ali Shah, provincial ministers and foreign envoys attended the oath-taking ceremony. The oath-taking ceremony was held at the Governor House. Prime Minister Imran Khan had appointed 33rd Governor of Sindh. Shortly after Imran Ismail was notified as Sindh Governor, he thanked Imran Khan for reposing trust in him. Imran Ismail also thanked PTI and party workers. He went on to say people of Sindh will find him among themselves. “I want to take all parties in the provice along,” he said.